Jemi. . Wallpaper and background images in the Jemi club tagged: joe jonas demi lovato jemi disney camp rock mitchie shane. 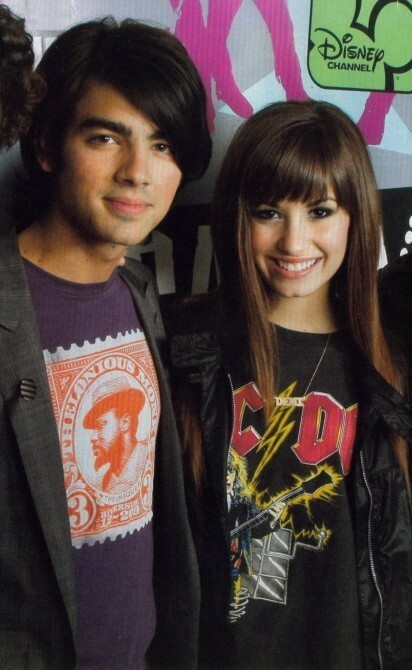 This Jemi photo might contain o desgaste de lazer, lazer, desgaste de lazer, jersey, camisa de t, t-shirt, t shirt, tee shirt, outerwear, overclothes, vestuário exterior, and roupas normais. Jemi from camp rock 2 official photoshot! Out at Farfalla Restaurant in Los Feliz, CA. 14.04. Joe Jonas & Demi Lovato: Arclight encontro, data Night!